Checking In Week 13: How good is going to the office? Checking In is a sometimes weekly, sometimes sporadic, update from me on the challenges, calories and coffee-fuelled planning sessions that happen behind the scenes of this travel blog. Here’s something I never thought I’d hear myself say – how good is it to go to an office? I’ve been working for moi for 4 years now and while I have a lovely, airy, air conned office at home I was starting to feel a bit stifled. So, I’ve started hanging out at We Work on Bourke Street for a few days each week and I can’t believe the mental health benefits. Firstly, I now have a reason to get dressed in the morning. Not that I don’t usually, it’s just that when only the postie and your local barista see your outfit it doesn’t really require any effort being put into it. (Yes, I do live in yoga pants 5 days a week.) But if you’ve got an office to go to, where people wear non-elasticated trousers and dangly earrings, it makes you want to make more of an effort too. Secondly, how good is commuting? I’m loving the guilt-free minutes of reading I get to do as I sit on the tram and, conversely, adding this time into my day has just made me work extra harder and faster when I arrive to make up for it. In fact, overall I work less hours when I go to the office but get more done. 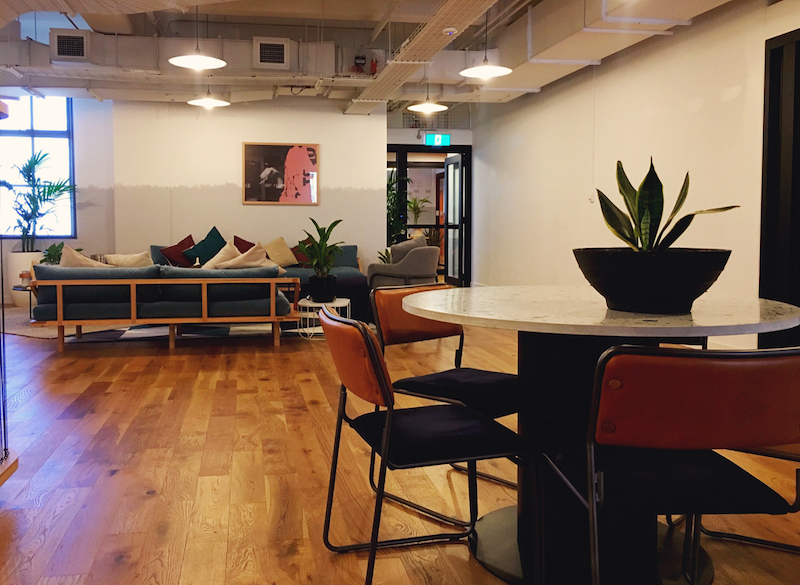 Go figure..
I’m not sure if these positive effects will work long-term (or how long I justify not using the perfectly good office we have at home for) but right now I’m all about this co-working malarkey. Did I mention the free coffee and kombucha? So you may (or may not – perhaps you are blind to these things?) have noticed a few ads spring up around here. 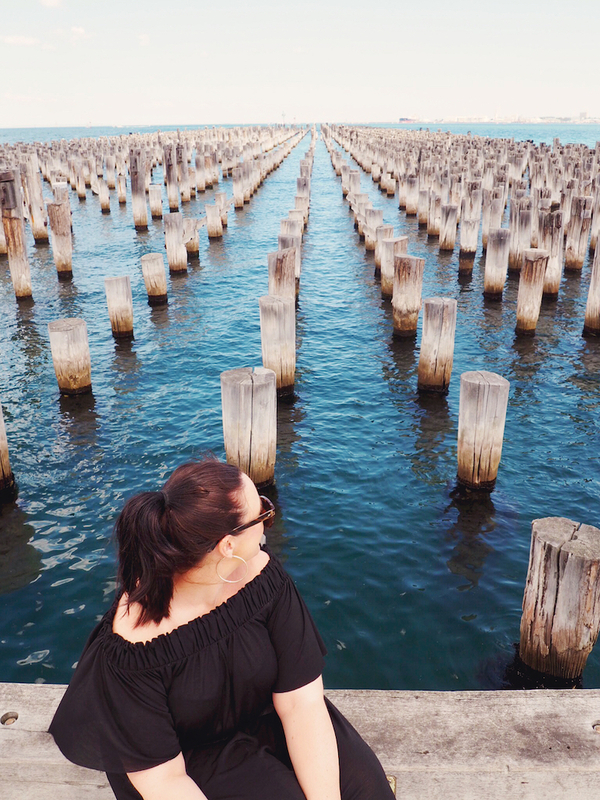 I’ve been proudly ad-free on my blogs for 8 years but I’m trialling a few new things in 2018. I mentioned in my 2017 review that over the last couple of years a lot of my most useful content went to other sites (coz they pay me for it!) but I would ultimately love to be serving up even more on here. The only way to make that possible, however, is to make more money on this site, so that’s where things like ads and affiliate links come in. I’ve also noticed that a lot of my favourite blogs and websites serve up ads and it doesn’t bother me one bit so I figured I’ll see how it goes down over here. If you hate it feel free to send me a DM or berate me publicly in the comments. They can easily come down if it turns out to be too distracting. 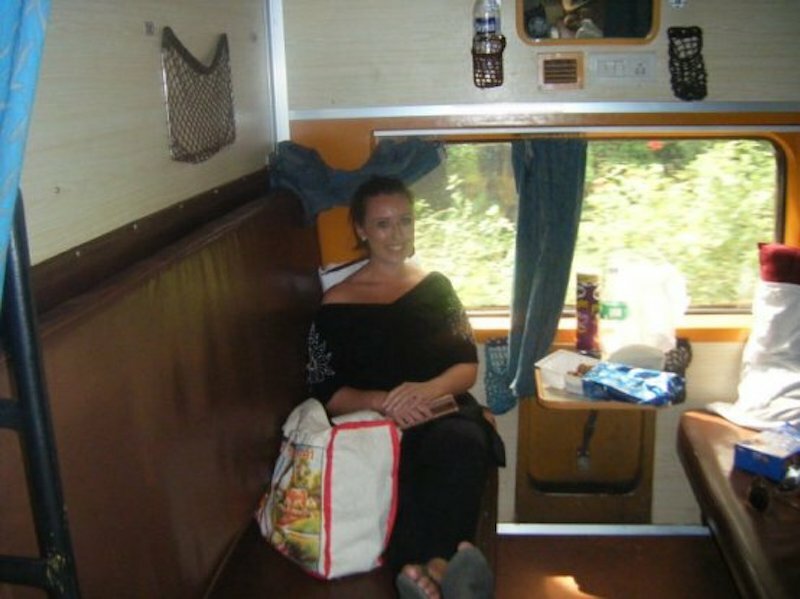 On a train during my first trip to India in 2010 – I’m hoping the second visit will be more luxurious! Things have escalated rapidly on the 2018 travel front. Whoopee. I went from having just Tassie booked last week to now having a trip to India and long weekend in Penang locked in! I only found out yesterday so excitement levels are high and detail levels low but I won a place on the Great India Blog Train, which is a campaign involving 60 bloggers travelling India on 4 different luxury trains. I’m praying I get the one that goes to Rajasthan as I’m dying to visit the Pink City and Amber Fort and scoff freshly-made roti. (That’s totally what I wrote on my entry BTW.) The trip is scheduled for February and I’ll tell you more as and when. Ahh I totally agree on the coworking front! It’s kind of a game changer. My husband and I both work from home so an added benefit is avoiding divorce. We found a very cool space in Chippendale but it’s a bit of a trek, so we found a less cool but totally free (!) one just down the road from us. I foresee many visits in our future. I also just added a couple of small ads on my site, having previously sworn I never would. I choose the adverts though and I think they’re fairly inoffensive… I’d be interested to find out how you go with yours and whether you get any feedback, negative or otherwise! So far I’ve had no complaints but I personally am finding them a bit intrusive considering how little they pay! What service are you using to choose the ads you want? And yes to co-working, I’ve been at home at lot this week and my pace seems to have slowed. Oops.